In Copenhagen, Martha Jorgensen receives a visit from a Mr Rasmusson, who is looking for her husband. 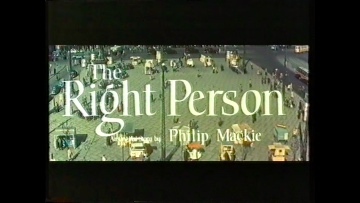 In fact, if he is the ‘right person’, he has been looking for him for years, as the Jorgen Jorgensen he is seeking was a traitor to the Danish resistance during World War II and Rasmusson has vowed to kill him…..
Hammer produced several shorts which fell mainly into the drama, travelogue or musical categories. This one is of the dramatic variety and features Douglas Wilmer, who later played Christopher Lee’s arch-enemy Nayland Smith in “The Brides of Fu Manchu” (1966) and “The Vengeance of Fu Manchu” (1967).